I thought we already covered this, Brad. After a pleasantly surprising series sweep of the White Sox, the Tigers have lost eight of twelve and fallen to fourth place in the underwhelming AL Central. Rather than capitalize on a slow start by Cleveland, Detroit is struggling to keep its head about the .500 winning percentage waterline, and a deeper look into their 32-36 record suggests it’s an accurate reflection of who they’ve been to this point– no bad luck to blame so far. At least Victor Martinez is out of the hospital. In the history of Major League Baseball, there’s only been one player with the first name Anibal. Anibal Alejandro Sanchez broke into the majors in 2006 with the Florida Marlins. 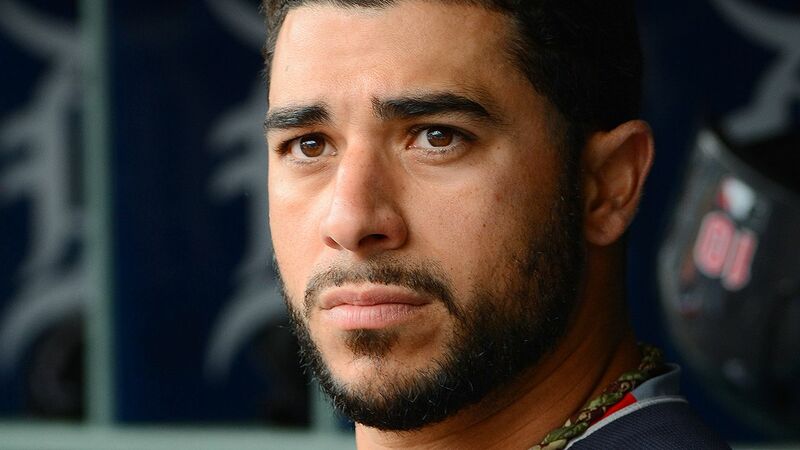 He, along with Omar Infante, came to Detroit in the middle of the 2012 season in a trade. In 2013, his first full season as a Tiger, Sanchez produced by far the best season of his career (6.1 bWAR, 6.0 fWAR, 5.1 WARP). It’s been all downhill since then, though, and his move to the bullpen in 2016 seemed inevitable if only because he remained signed to a starter-magnitude contract that made totally cutting bait a pill too difficult to swallow. Sanchez didn’t make the transition especially well, however, and things have not improved in 2017. It’s come time for the Tigers to release this former fish. After an especially bad weekend in Oakland capped a rough start to this season for incumbent closer Francisco Rodriguez, I (along with everyone else in the world) wrote on Monday that manager Brad Ausmus needed to demote K-Rod immediately. Ausmus agreed and did so, promoting Justin Wilson to the closer role, although the first run with the new top-line bullpen arrangement showed Ausmus still has room for improvement there. Dynamic, leverage-oriented bullpen management is pretty difficult to accomplish, though, and Sanchez has become a much clearer and more present danger to the team’s success than any further usage optimization of the capable portion of the relief corps. Sanchez, as a converted starter who used to be good, would seem to be the optimal long relief guy, but he has foundered in that role, and if it seems like he gives up a home run every time he comes into a game, well, you’re not far off. Last night in Arizona, Sanchez made his first appearance in over a week and immediately surrendered back-to-back home runs to the first two batters he faced. Although the Tigers’ offense had evaporated in the desert heat that night, those two homers Sanchez allowed felt like the real mortal blow that destroyed any hope for a comeback. Despite being pretty good at almost every aspect of building a winning baseball team, the Detroit Tigers have, for years, had as difficult a time finding a reliable closer as the Cleveland Browns have finding a quarterback. Even reading the names Jose Valverde and Joe Nathan is enough to make most fans shudder, and, unfortunately, it’s come time to add Francisco Rodriguez to that list. There were reasons to be hopeful when Rodriguez came over to Detroit before last season. Even though, at thirty-four years old, he wasn’t the fire-breathing, overpowering force he was in his younger days, it looked like he’d traded some heat for wisdom and found a way to continue to succeed as he aged. The active saves leader did pretty well last year, and, even if there were some missteps in key moments, it was hard to be too disappointed with the overall body of work. He even seemed to help teach manager Brad Ausmus a helpful lesson about bullpen management, as Ausmus slowly broke out of the conventional mold and began using Rodriguez in high-leverage four-out situations rather than rigidly reserving him for the ninth inning alone. Baseball famously is a game without a clock (at least for now), but humans lack such an exemption, and the clock appears to have run out on Rodriguez in his age-thirty-five season. After single-handedly blowing two games over the weekend, it sure seems like Rodriguez has turned into a dip-filled pumpkin. By one measure, Win Probability Added, he’s done more to help his team lose than any other reliever than all but one other reliever in baseball. The Tigers’ margin for error this season is extremely narrow, and Rodriguez just cost them two wins on an important West-Coast roadtrip. They don’t have time to let Rodriguez find himself in game-ending, high-leverage situations. Ausmus needs to rearrange his bullpen immediately. It already was a thin crew, but the status quo won’t do. It’s time to promote the Wilsons and find out if the rest of this motley bunch can handle a heavier load. The Detroit Tigers were winning last night, but then they lost. This is not a new narrative for this team, for which unrecoverable, late-inning blown leads are a recurring symptom of an unstable bullpen that’s as much a part of this era’s Detroit baseball identity as Miguel Cabrera and Justin Verlander. Incidentally, it was Verlander who started last night’s game, the first of a road series against the Blue Jays. He did well to hold Toronto to two runs, but he had to exit in the sixth inning, having thrown 103 pitches. At that point, the Tigers led 3-2. They extended the lead to 4-2 in the next inning, thanks to an Ian Kinsler RBI GDIP. When Shane Greene allowed a run in the bottom of the seventh, Justin Wilson relieved him, getting two key outs and preserving what then was a 4-3 Detroit lead. After newish Toronto reliever Jason Grilli made disappointingly light work of the meat of the Tigers lineup, Wilson came back out to pitch the bottom of the eighth. Allowing two quick hits that gave the Blue Jays men on first and third with nobody out, Wilson suddenly found himself in an extremely tight position. He did very well to strike out the always-dangerous Edwin Encarnacion for the first out of the inning, and a well-handled grounder by Cabrera allowed James McCann to employ a nice bit of pickle strategy to nab the runner on third, who had attempted to score, for the second out. Two outs, but still, two on base. Make that three on base, after Wilson walked the next batter on five pitches. “Time for a new pitcher,” one person in our residence said. The other agreed, as did Brad Ausmus, who pulled Wilson for…Alex Wilson. That Wilson promptly allowed a two-RBI single, providing the Jays a 5-4 lead they would not surrender.